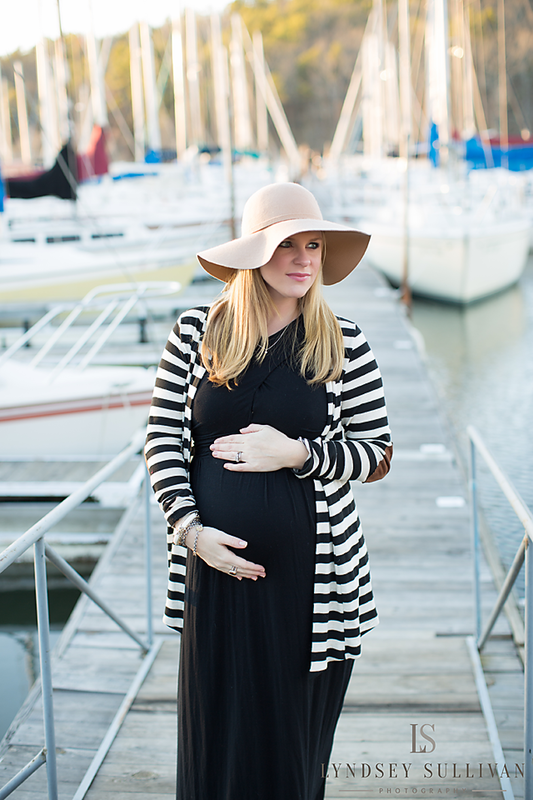 Third Trimester Update: Maternity Photos, Showers & More | mrs. and the misc. It’s been an eventful past two months. I’m sitting here one day shy of 35 weeks pregnant with about 5 weeks left… figured I should check in now and show you how things are going. I started the third trimester with a hospital visit. Got a stomach bug one Sunday night that dehydrated me so severely to the point where I started having a lot of abdominal and lower back pain. Dr. made me come in to get checked out at Labor & Delivery. Turns out the pain was contractions. They had to get those under control and make sure there was no chance of me going into real labor within the next few weeks (something that was particularly important at the time, since we were leaving for Steamboat the following Saturday). 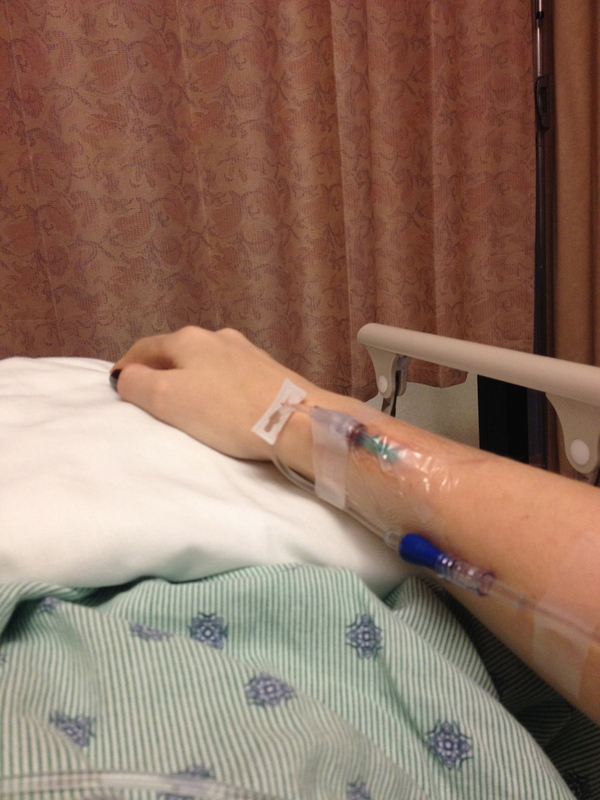 Two and a half IVs of fluids and many hours later, I went home and have been great ever since. Then, of course, we went to Steamboat and that was awesome! Wasn’t able to ski, hot tub or drink, so I went shopping and to the spa. It was SO relaxing and such a wonderful, special Christmas with tons of family, plus lots of snow and outwear (my favorite!). 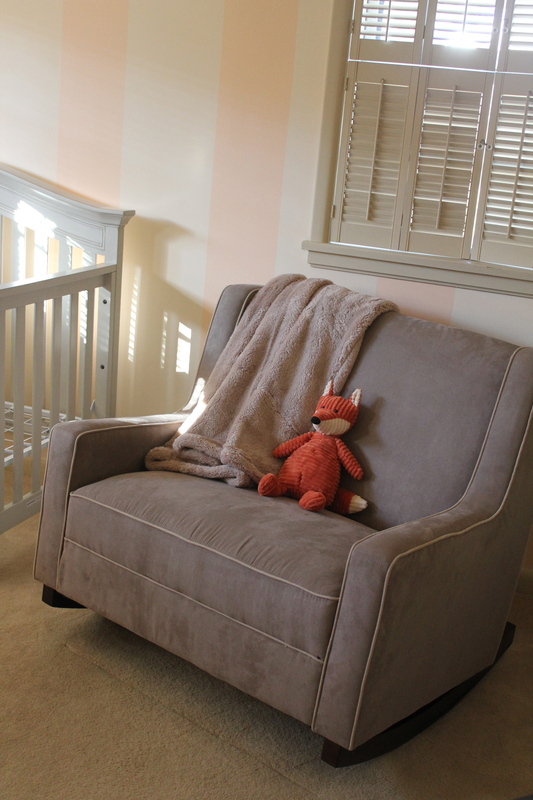 Upon our return, we started really pulling together the nursery … it’s not done yet, but here’s a preview. 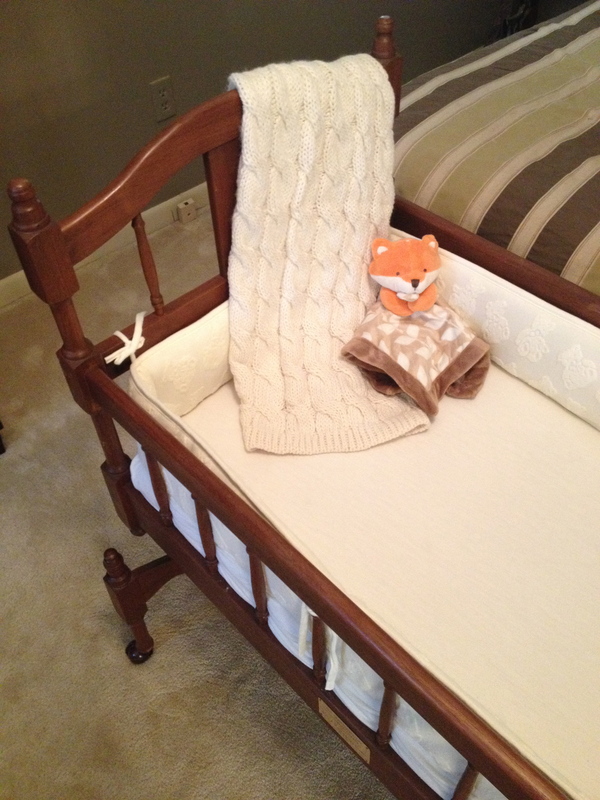 It’s almost done, but I’m working a nursery reveal post I’ll do sometime before she’s born! And got the bassinet ready for Baby Girl’s first weeks in our room with us. 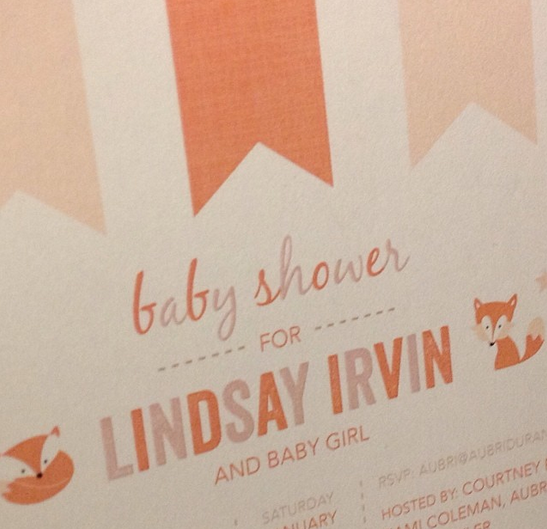 I was blessed by some sweet friends who threw us a baby shower here in Little Rock recently. It was a very special day and I’ll never forget it. The invite! www.AubriDuran.com designed it … i would show the whole suite she created for it, but I don’t want people’s personal addresses and full names exposed. 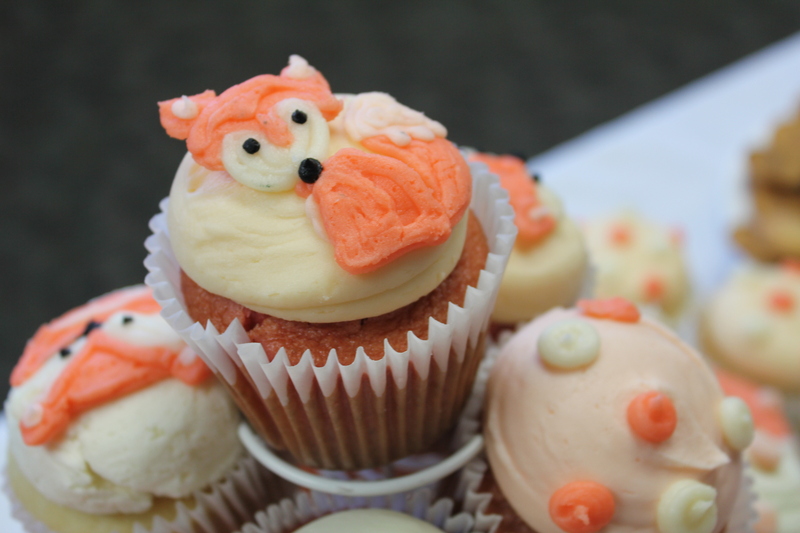 The most delicious and adorable cupcakes … Seriously, the icing was to die for! Made by The Cupcake Factory in Little Rock. 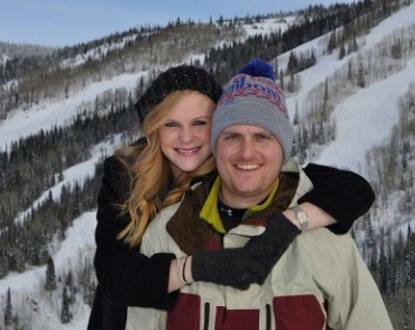 One of the Mrs. – Aubri – was one of the hostesses. She and I are 9 weeks apart in our preggo journeys and we def. 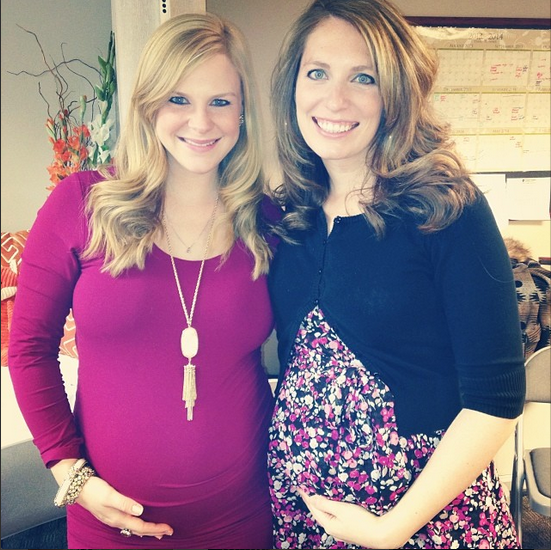 wanted to get a belly bump pic to remember this amazing / whirlwind of a time. 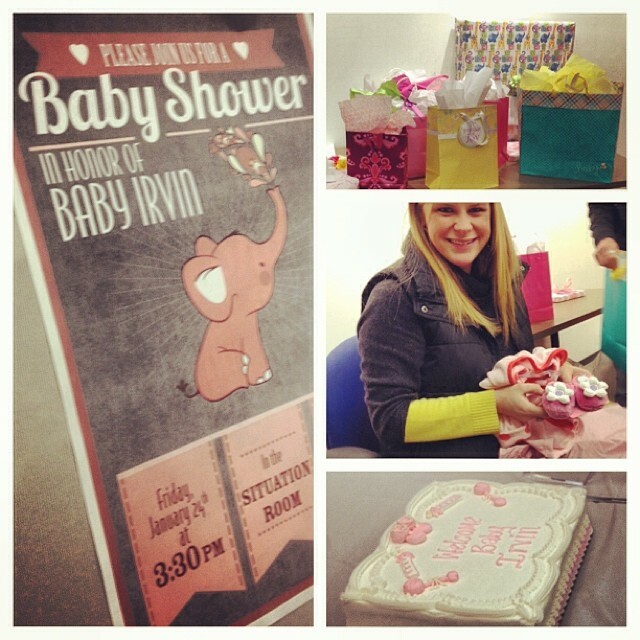 This past Friday, my co-workers had a little shower for Baby Girl in the break room. So fun. And then… it was time for…. This turned out to be something I’m SO glad I did. I originally was on the fence about it, since I only really wanted a few beautiful pregnancy pictures for the baby book and my memory of being pregnant for the first time, but decided it was worth a try and why not with one of the best in town? Lyndsey Sullivan, owner of Lyndsey Sullivan Photography, took these maternity pictures (and our announcement photos, remember?!). In my line of work, I meet a lot of photographers and have been lucky enough to become friends with many of them. Arkansas just has so much talent here and such warm and wonderful people, especially, it seems, our photographers. And Lyndsey is one of them. You can’t help but want to be best friends with her! See, in pictures, just how awesome she is (that’s her making me look that confident and cute with a belly 8-months larger than my norm!) and 10 of my favorites from the shoot. I am thrilled with how they turned out and I think I might even frame one for the nursery now! And, I just I loved how much my husband loved these. He really caught me off guard with how much he complimented me as he looked through them and stuff. He is always a sweetie, but his reaction far exceeded my expectations. In fact, he chose two he wants framed for his office. Love him. Anyway, here are my maternity pics. Enjoy. And stay tuned for another update next week. Beautiful! I am anxiously awaiting the birth of my sixth grandchild, due in just a few weeks. Best of luck to you and your baby girl! 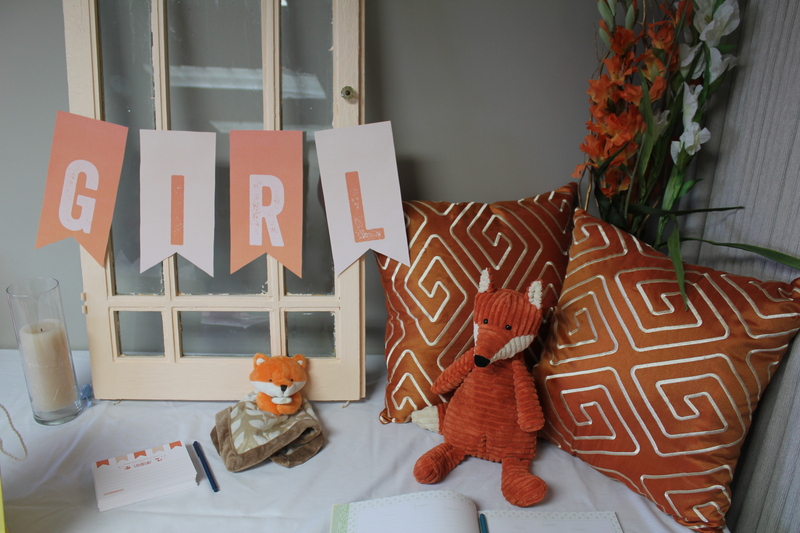 Pingback: A Fox-Themed Baby Shower for My Girl | mrs. & the misc. 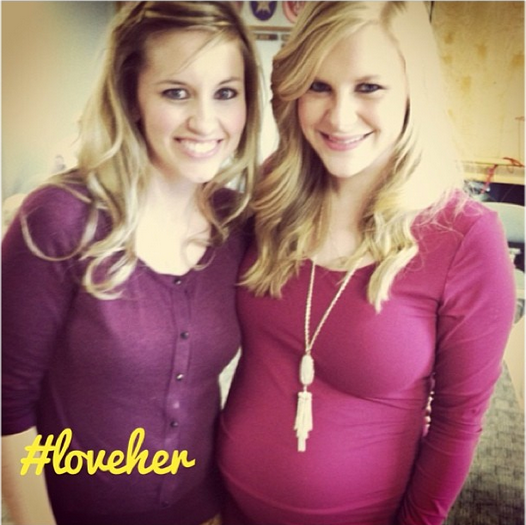 Your “pregnancy glow” certainly shines through in these pictures!!! Just beautiful 🙂 Thanks for sharing. Pingback: We’re back! And So Much Has Changed… | mrs. and the misc.